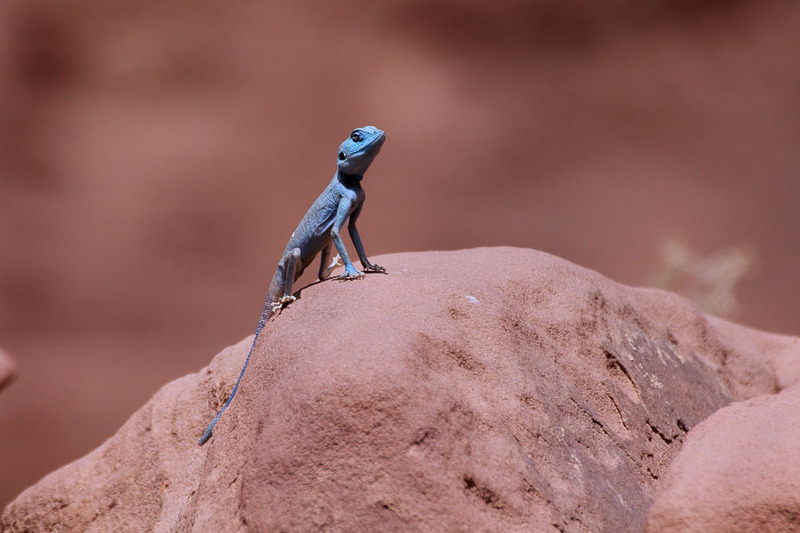 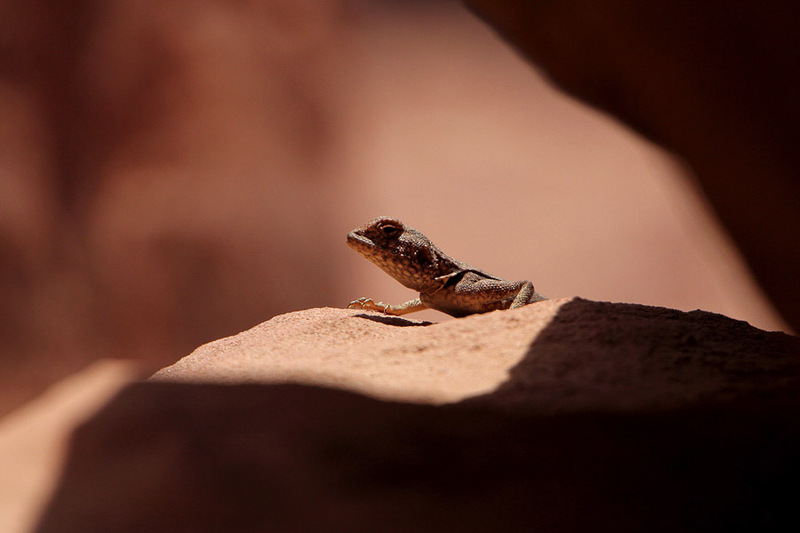 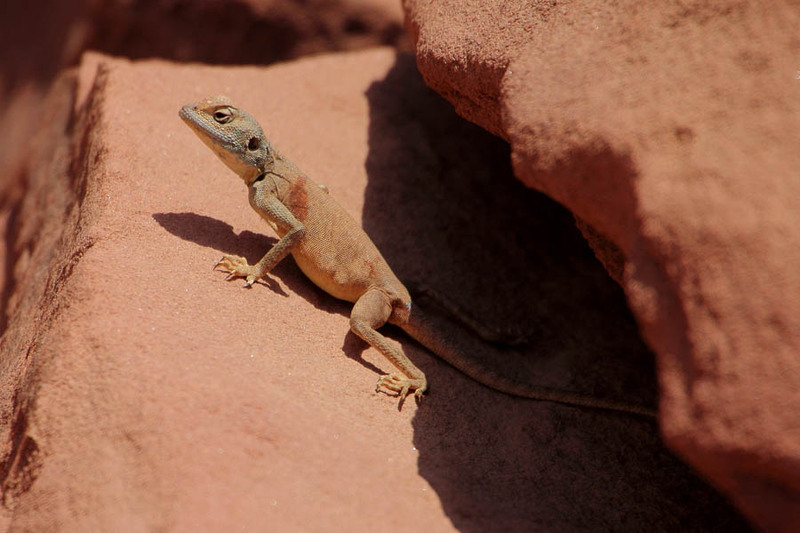 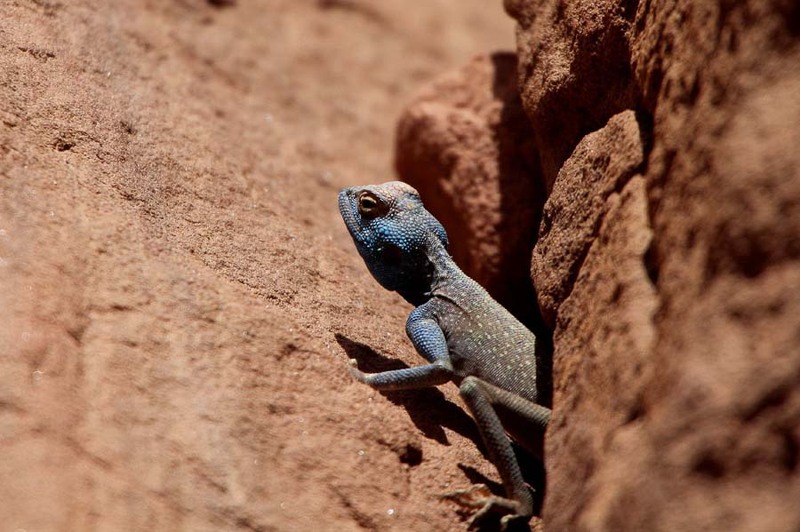 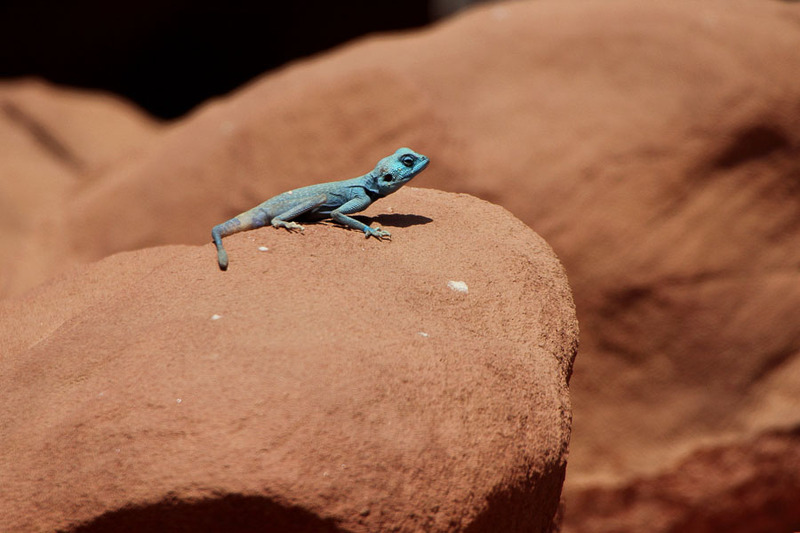 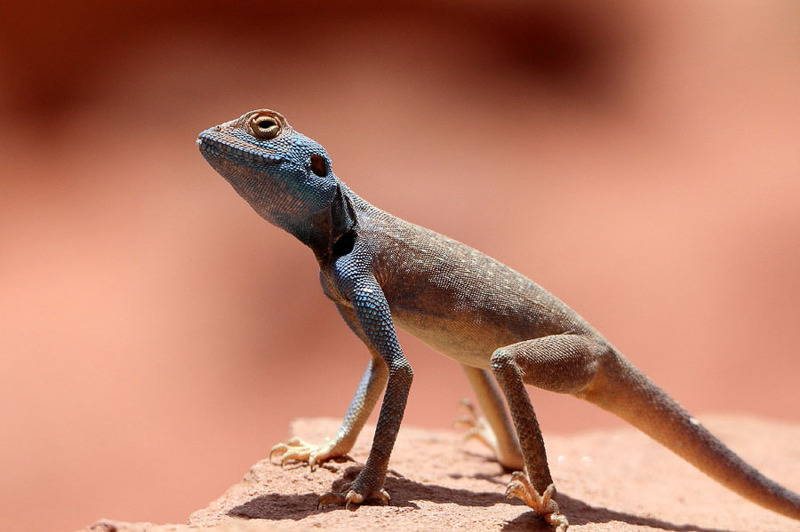 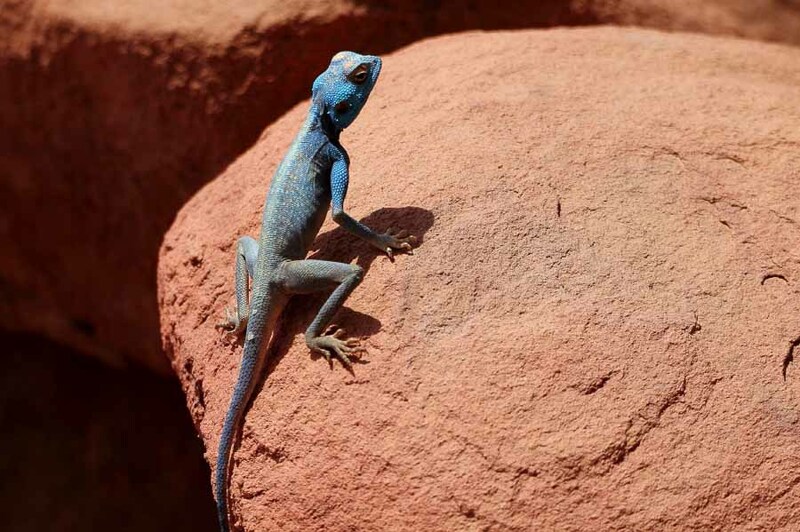 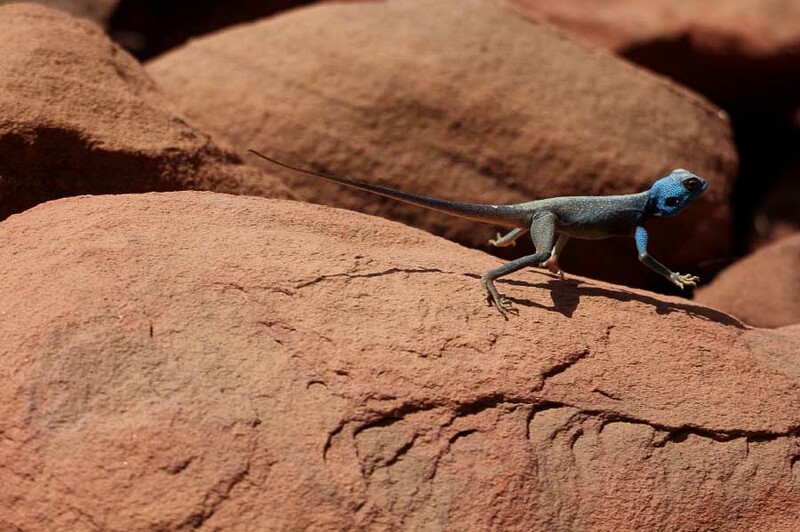 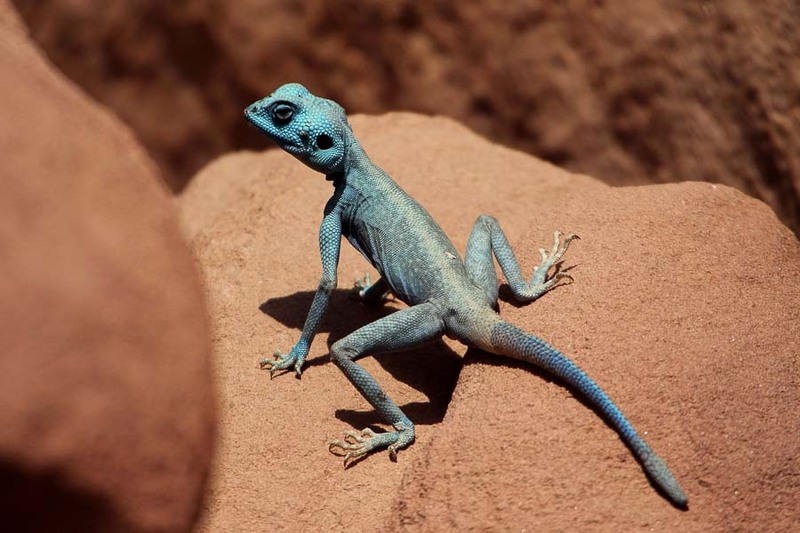 The Sinai Agama Pseudotrapelus sinaitus has a relatively large range extending from south-east Libya, east through Egypt, Sinai, Israel, Jordan and Syria, as far as Saudi Arabia, the United Arab Emirates and Oman, and south as far as east Sudan, Ethiopia and Eritrea. 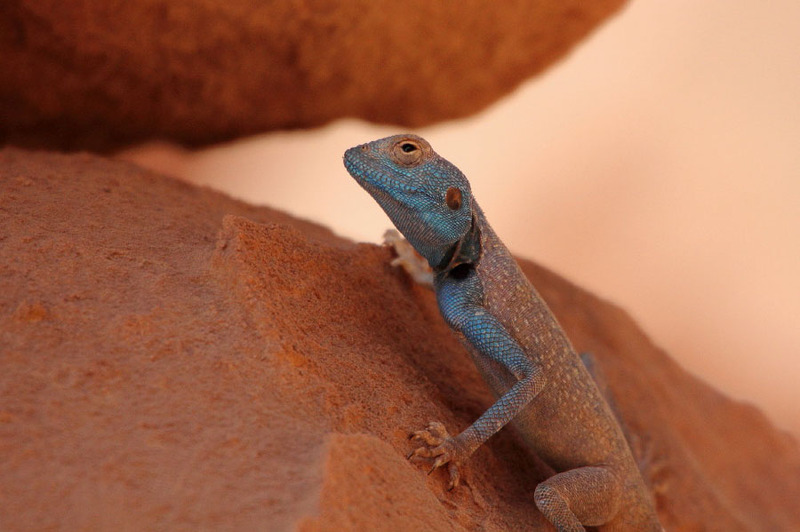 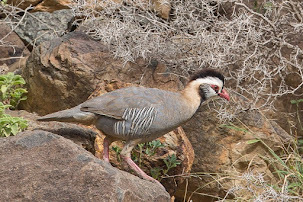 They can be found in arid, rocky areas and measure up to 25 centimetres long but the tail alone can be 15 centimetres long. 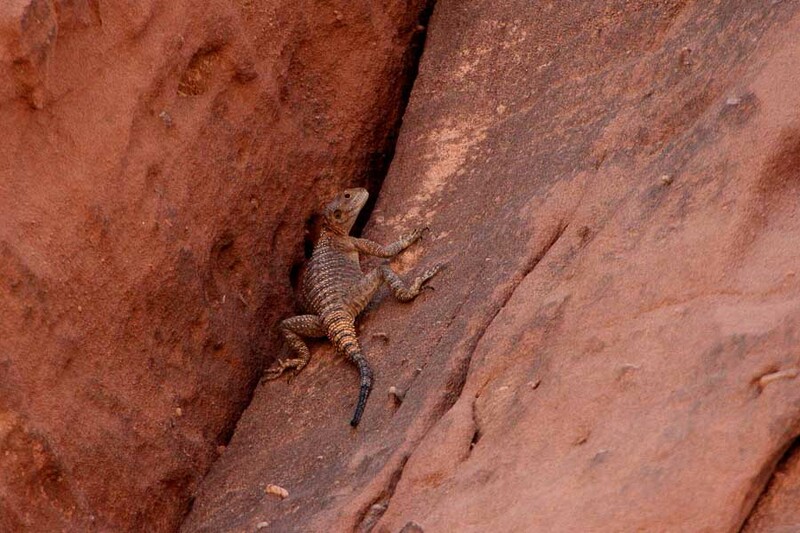 The long, thin, tail and limbs make the species a good climber. 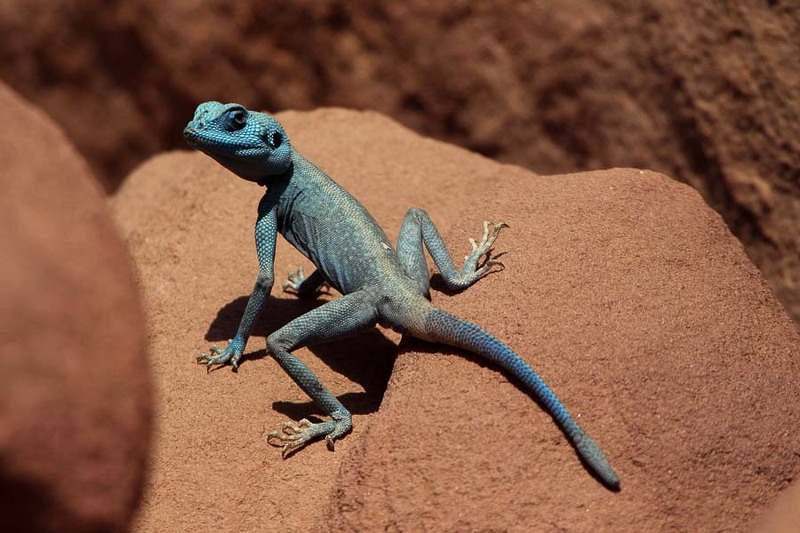 Unlike members of the closely related genus Agama, the third (middle) toe is the longest instead of the fourth. 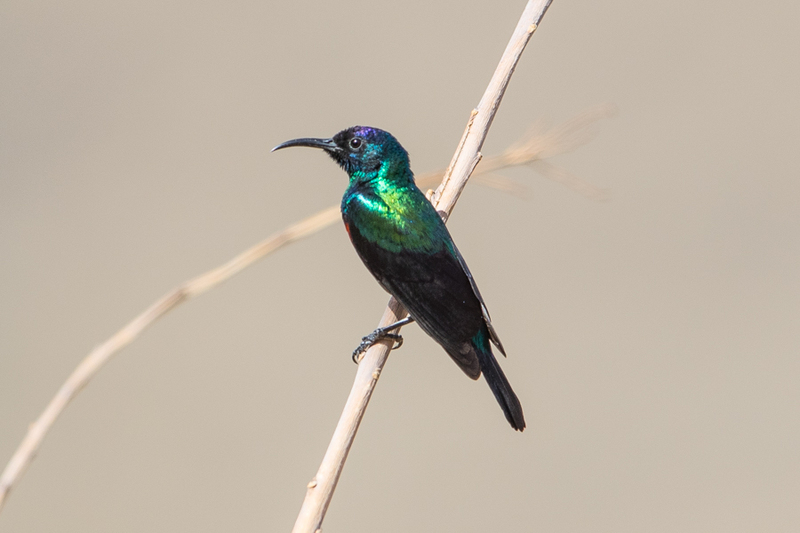 They are active during daytime and feed mainly on insects and arthropods and as hunting takes place during the day, this species relies on its long legs to raise its body off the hot substrate while waiting for insect prey to emerge. 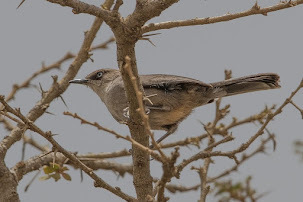 Although drab and inconspicuous throughout much of the year, during the breeding season the male becomes a vivid sky-blue colour which can extend over the entire head and body or just the head and throat, while the tail and body remain brown. 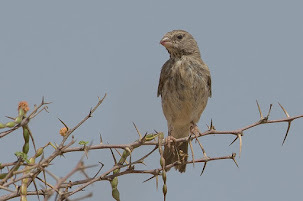 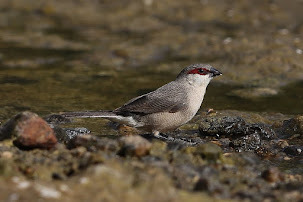 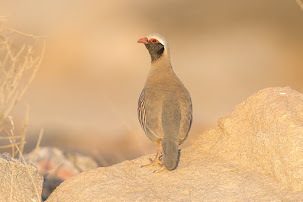 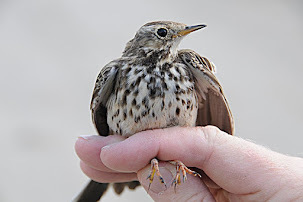 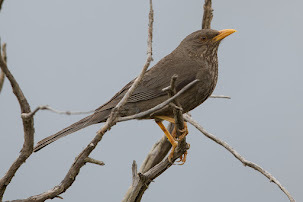 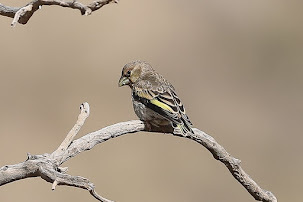 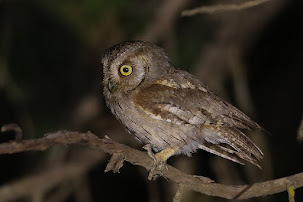 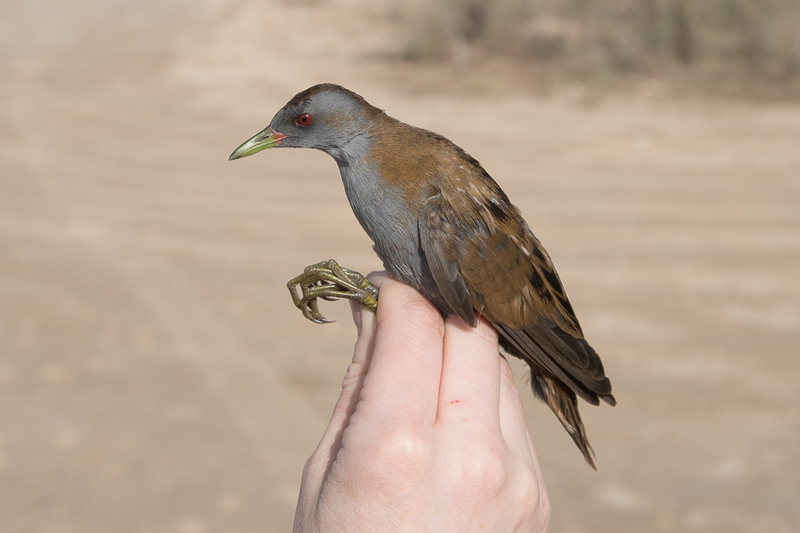 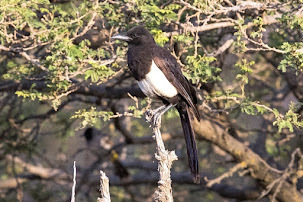 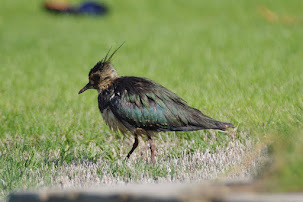 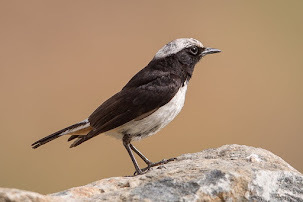 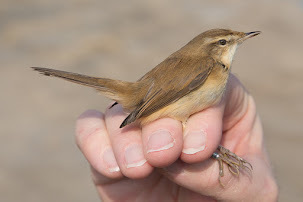 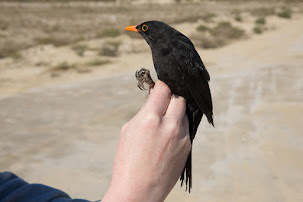 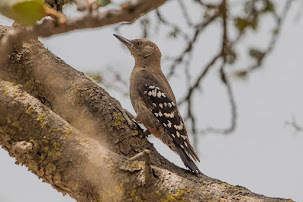 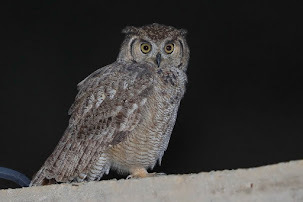 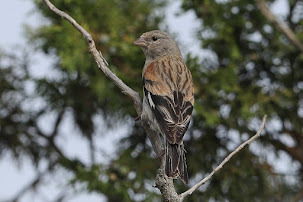 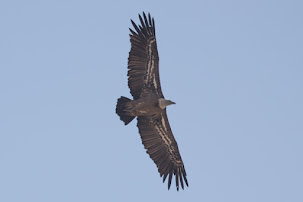 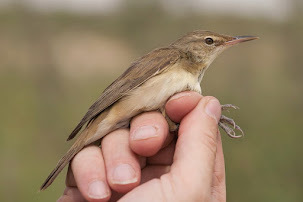 Females and juveniles retain the brown colour throughout the year, but usually have a red crescent-shaped spot on the flanks, behind the forelimb. 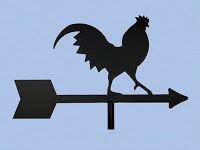 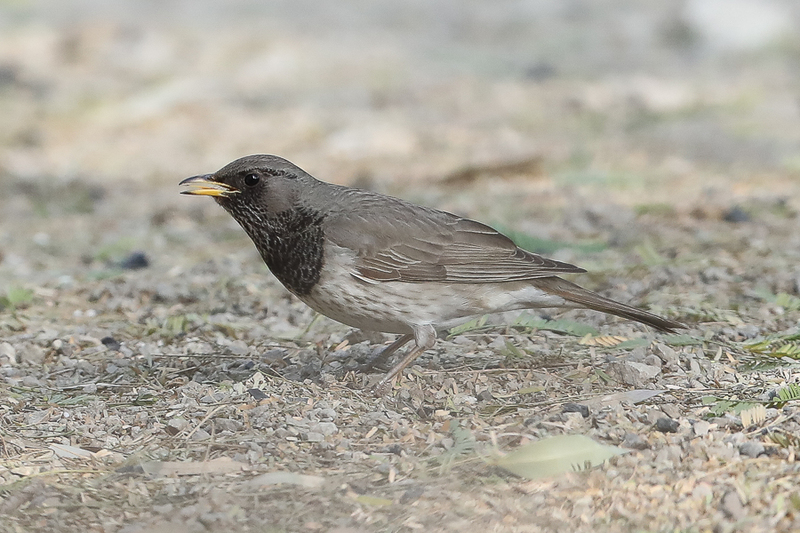 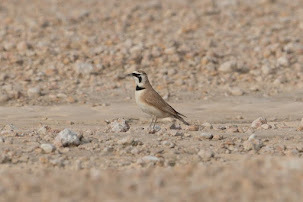 The photographs were taken north of Tabuk by Viv Wilson who kindly allowed me to use them on my website. 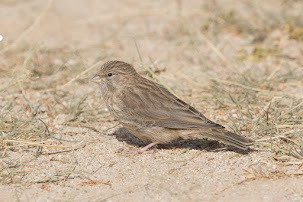 The copyright of the photographs remains with Viv.